Landing in Nepal after 71 days of Japanese sterility was like getting back to life. It is said that man is a creature of habit, and sometimes it takes a sudden shake to realize how easily one gets accustomed, perhaps unconsciously, to a particular life situation. 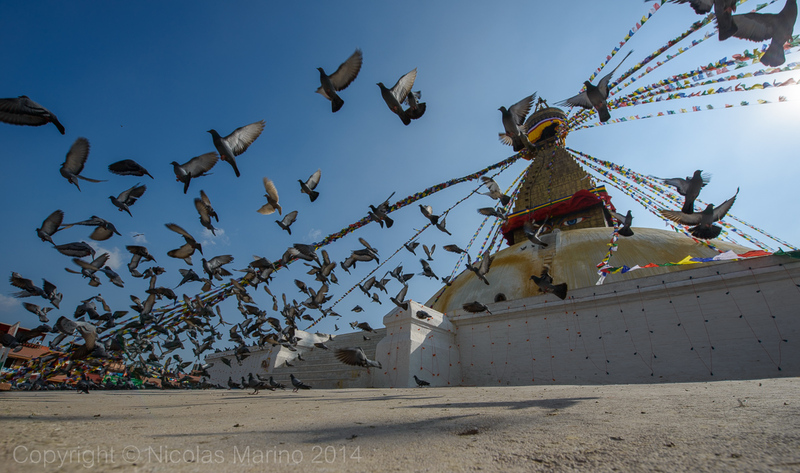 Getting off the plane in Kathmandu was like waking up after a general anesthesia, all senses were suddenly awake and I felt them with even greater intensity. It was an explosion of life, it was like the joy that comes with the spring after a long, dark winter. It is in such contrast that I realized how much Japanese asepsis had somehow numbed my spirit, and Nepal, with all its stimulus was the injection that would bring back to life all my emotions.